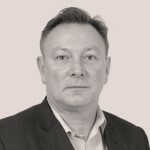 Lovett has been with Engie since 2013 and prior to joining the business held senior level positions at both Balfour Beatty and Serco. She succeeds current CEO Wilfrid Petrie, who will remain with Engie, taking up a new position on the group’s executive committee based in Paris. Petrie said: “In the UK, Engie has evolved significantly in recent years, developing expertise and capabilities in order to adapt to the future needs of clients. Its development in recent years has been accelerated by strategic acquisitions including Keepmoat’s regeneration business in 2017, which created a leader in local authority placemaking, and also a number of smart building and digital companies, enhancing building user experience.